Add this beautiful mirrored clock to give any home a touch of sparkle. This elegant piece would look amazing in any room, especially a living room or a glamorous bedroom. It's made out of mirrored glass and is a lovely bright white colour. 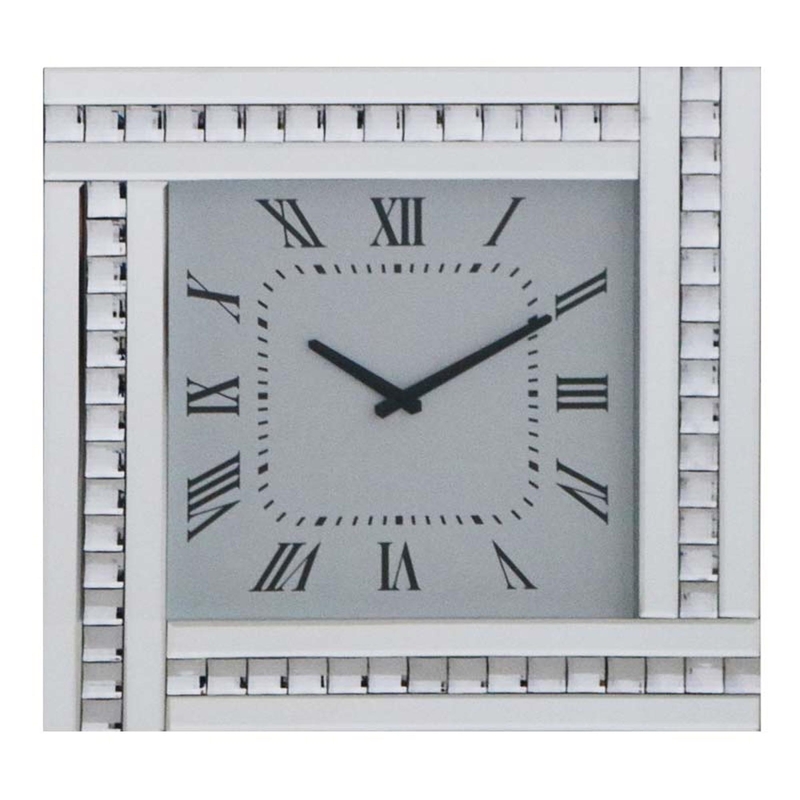 Also the square shape is very unique and this wall clock would defiantly catch the eye of anyone in your home.